CANCELLED! Run The NYC Half Course W/ Us This Saturday! UPDATE – SATURDAY 3/2/19 @ 5am! Due to accumulations of already 2-3 inches of snow on the ground in Brooklyn and more still falling, we have decided it is in the runners best interests to cancel this run! . We have come too far training wise to risk insury! Originally I had hoped this would be mostly rain but it wasn’t the case! Apologies this didn’t work out! As we come up close to two weeks left to the United NYC Half, its time for runners to get their final long runs in! Similar to what we did a few weeks back, we will be running a large portion of the United NYC half course! This week we will come close to running the whole course! We are looking to run approximately 12 miles this Saturday! Where: Soldiers & Sailors Memorial Arch @ Grand Army Plaza in Prospect Park! We will be doing this run rain or shine! One of the positives that we have going our way that day is that we will have a bag check available! You can check your bag with one of our members at Grand Army Plaza who will then transport your belongings for retrieval by the NYRR Run Center. We will also have FREE samples of Nuun Hydration & Vitamins to give out before and after the run. For this run we will have three different pace groups and have them departing at staggered times. Below is the route that we will be taking for the course run. Please keep in mind that some parts of the actual course cannot be run as we do not have access to them such as the main road of the Manahattan Bridge and the actual FDR Drive. We have improvised the route to come as close to the actual race day course as possible. I know the race starts within Prospect Park but we won’t have the luxury of signage telling us where to go this Saturday and I would like to avoid any confusion. Also, starting in Grand Army Plaza allows, our vehicular bag check to drive up right to us and not having to go inside the park. So with this route, we will end up somewhere between 12 and 12 1/2 miles approximately while cutting out one mile from within Prospect Park. See you on Saturday rain or shine! Any questions regarding the run, please email us at wearenycrc@gmail.com ! In continuing with our We Are NYC Running Club member spotlight, our next awesome member is one of our more vocal, motivated, and loveable members. Bassem has been a long time runner and has logged well over 60 races just with New York Road Runners alone. Three of those races have been the New York City Marathon. In 2018 he opted not to run the NYC Marathon and focused on the Philadelphia Marathon instead. It resulted in him running a personal record of 3:49:22 after having a previous record of 4:52 in NYC! An outstanding PR of over an hour, but what makes this even more fantastic, is that Bassem just turned a young 50 years old! Realizing his accomplishment this year, Bassem now has his eyes set on qualifying for the Boston Marathon. He would have to knock off another 25 minutes on his marathon time but he says there is something different now about his training. As noted earlier, Bassem is a long time runner, but this year he has seen improvement thanks to the support that he has received from his “We Are NYC Running Club” members. He points at the motivation factor as well as accountability being a huge boost to his training. While his pursuit of the Boston Marathon is currently a long term goal, his short term goal is to keep his current run streak alive. A couple of months ago when he turned 50 years old, Bassem decided to start a “run streak” where he runs at least one mile each day. Last week during one of our weekly group runs, Bassem reached 50 days on that streak and doesn’t plan to stop any time soon! How long can Bassem go? We shall see! Seeing how much the club has given him this past year, Bassem is always willing to give back. At group runs and on race days, Bassem is always willing to give runners advice based on his past experiences. Whether it may be about running apparel, nutrition or race logistics, you can count on Bassem to give you his words of wisdom. Bassem (on the right) With His Vuvuzuela @ The Fred Lebow Half Marathon! Bassem doesn’t stop there either in supporting his running club teammates. Coming out and cheering with the club as part of our infamous cheer squads is something Bassem enjoys doing. If you have run any races in Central Park recently, you may be familiar with the loud echoing sound of a “vuvuzuela”! Yup – one of those vuvuzuelas is likely Basem! His energy and dedication to the club make him a clear candidate for today’s spotlight and he is just another reason that We Are NYC Running Club continues to thrive today! We will leave you with some words from Mr. Vuvuzuela aka Run Streak Man, aka Ragnar Guy aka Boston Marathon hopefully, aka BASSEM! Cheryl crushing the 2018 TCS NYC marathon this past November! Over the past (almost) year, We Are NYC Running Club has grown tremendously and with over 450 active members worldwide sometimes it’s hard to keep track of who is up to what. So to assist with keeping up to date with our members, we’ve decided that starting in 2019, we would introduce one outstanding member per week to showcase who they are and why they are such a great teammate. It is our honor and privilege to introduce the first ever Member Spotlight: Cheryl F. (IG: @cfriscia). Cheryl has been such a supportive and compassionate member from the day she joined the club. She puts 110% into everything she does whether it’s encouraging her teammates during group runs or organizing a Cross Fit class for the club. 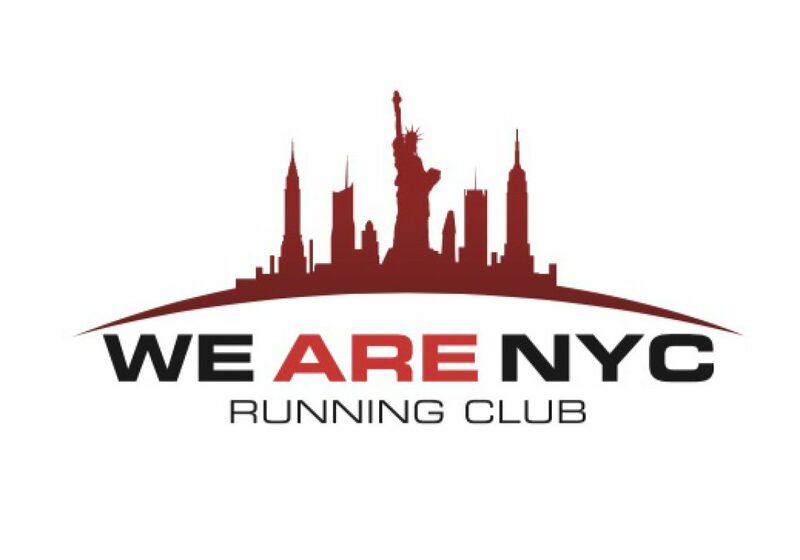 Cheryl is committed to taking We Are NYC Running Club to the next level. Cheryl is a survivor of stage 3 kidney disease. With her kidneys failing in 2014, she was hospitalized and underwent two years of intense treatment. While she avoided a transplant, she has come back to full health thanks in part to a complete diet change and lots of exercise. In April she celebrated her full recovery with our running club by running the UAE Healthy Kidney 10K. With the arrival of her first grandchild and watching her son get married, Cheryl experienced it all this past year! She capped off a triumphant year by running and completing her first marathon, the TCS NYC Marathon, and her teammates were there cheering her on all across Manhattan! When Cheryl sets goals, she hits them! Check out some highlights on Cheryl and hear what other members had to say about her character and impact she’s had on the club! We can’t wait to see what 2019 has in store for you, Cheryl! Thank you for being the personable, driven, and kind member that you are! Here are some member messages about Cheryl! Some kind words on Cheryl from teammate Derek S.! More kind words from teammate and good friend Rosa S.
A big thank you to our teammate Casey (IG: @caseyalexandrafit ) for her work on this! Be on the lookout every Monday for our latest Member Spotlight! Happy running to you all! Cheryl holding her newborn grandson earlier this year! It’s Cold Out. Good! Here’s Why! In two year’s time, Carlo has gone from corral K at NYRR races to corral B. This guy knows what he’s doing! Hi everyone, this is Cesar. When I started We Are NYC RC I was excited to just meet friends who were runners. As a result some of these runners have become valuable sources of knowledge for me. So allow me to introduce you to one such runner in my club, Carlo F. This guy has improved in leaps and bounds and yet he is always willing to share the secrets of his success. Today I wanted to introduce Carlo who will be contributing to this site from time to time. You can follow Carlo on Instagram at @clo_runs ! 1. Promotes Weight Loss – When it’s cold, you start shivering because muscle movement helps heat up the body. So we actually use more energy during winter running as the body has to work harder to provide us warmth. This helps work off the gains during a time when it’s easier to stay indoors than to go out for a workout. 2. Improves Your Cardiovascular System – Running in the winter strengthens your heart & lungs as they have to work harder to provide the body with oxygenated blood since it becomes less easy to breathe (due to the cold air reducing the body’s air flow) and maintains the body’s core temperature. 3. Strengthens Your Immune System – When your body’s immune system is exposed to the cold, it is enhanced to fight inflections. Staying active during the winter is your best defense against cold and seasonal flu. In addition, the cold air acts like a natural ice pack to decrease inflammation, an in turn your joints will feel less sore after a winter run. 4. Build Mental Fortitude – By encouraging yourself to embrace the cold instead of staying indoors, you are pushing yourself to break those mental barriers that can hinder your progress. Plus, you’ll have run through some of the toughest, hardest and least enjoyable conditions imaginable and that will give you the confidence to tackle a new season of running when spring comes along. 5. Improves Physical Endurance – Your muscles will need to adapt to uneven and slick terrain. Whenever you attempt to walk across such a surface, every muscle in your body is working hard not to lose balance, thus becoming stronger, more responsive and more resilient in the process. 6. Less Crowded. During the winter, Central Park is almost a Ghost Town. There will be fewer people out. And for the ladies, this also means less cat-callers during the season. 7. Running in the Cold is Easier – you do not have to worry about sweat and dehydration. The colder the weather, the less heat stress on the body. Soon you will realize it feels easier to hold your 10K pace during the winter as opposed to during the summer. Winter is the Best Time to Work on Yourself – Because there are less races and less people. This is the best time to focus on your weaknesses and turning them into strengths as well as trying out new things that you may have wanted but couldn’t find the time. You want this to be a period where you are able to gain the necessary fitness to tackle a new challenge or an upcoming training program. Possible areas you may want to improve: Cadence, Core Stability, Running Form, Upper Body Strength, Aerobic Base (High Mileage @ Easy Pace), etc. Possible things you may want to try: Heart-Rate Based Training, Spinning, Pilates, Yoga, CrossFit, Jump-Rope, Weight-Lifting, Running Drills, other Fitness classes, etc. When it comes to Winter Running, the most important part is the layers you wear. This website, brought to you by Shape Magazine, shows what winter gear you should have at your disposal as well as a guide to what to wear at what temperature. However if your easy pace (in miles) is faster than 9-minute, you may have to adjust accordingly, as the faster you run, the more heat you generate. In addition, some of you may not realize but there are indeed sneakers made for winter running (snow/ice/rain). Last year, I wore Mizuno Wave Rider 20 GTX exclusively during the winter. I recently purchased the Saucony Peregrine 8 Ice+. There’s also the Brooks Ghost 11 GTX. You can either research or reach out to your preferred brand(s) for sneaker recommendations for winter/cold weather running. You can also purchase Snow & Ice Traction Cleats (such as Yaktrax). They are used to avoid sliding on slippery surfaces like ice and snow, as they are attached to footwear with either rubber straps on the heel and toes that covers the whole sole or a single strip over the foot. You can even take it a step further by installing spikes on the bottom of your sneakers to act as cleats (DIY Traction). This would be the cheapest option and would advise to do on a pair of your least favorite sneakers.